Shirelle is our first Midreshet Amit alumnus to serve as a full time staff member. 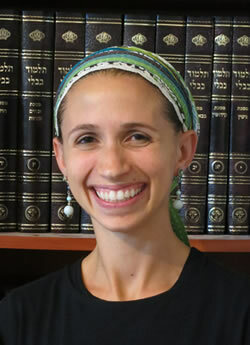 As Eim Bayit, she works with both faculty and students to make sure that all the girls are well taken care of. 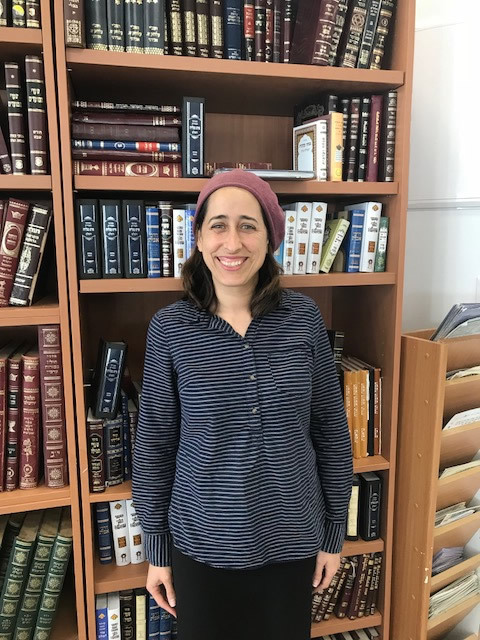 As Beit Hayeled Chesed Coordinator, she oversees all interactions between the foster families and the Amit students and runs exciting special events in our building. Her warmth and dynamic personality, and her open home for a late night shmooze or a Shabbat meal have endeared her to the entire Amit family. Rabbi Amos Azizoff born in the United Kingdom, studied at Hasmonean High School. After graduating High School he learnt at Gateshead Yeshiva Gedola, Bobov Yeshiva and Yeshivat Mir. He gained Semicha from Dayan Lopian ZT"L. He taught at Immanuel College for four years following which he joined Borehamwood and Elstree United Synagogue as Assistant Rabbi. He is very well known for his understanding of many different sectors of Judaism. 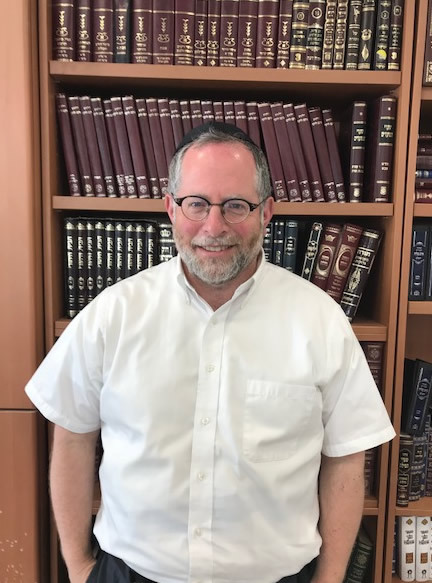 Rav Amos returned to Israel in August 2018 together with his wife and four children. He lives in Ramat Beit Shemesh. As well as teaching at Midreshet Amit he is the Rav of King Solomon High School in Ramat Hasharon and also teaches at Midreshet Eshel. Sima (Malki), originally from Teaneck NJ, earned an B.S. in Accounting from the Sy Syms School of Business at Yeshiva University. She then attended the Bernard Revel Graduate School for Jewish History and studied in the Bruriah Scholars Circle at Midreshet Lindenbaum. She has recently completed a two year course of study in Israel Tour Guiding at Lander College. Before making Aliyah, Sima co-pioneered the NCSY Teen Torah Center in Lawrence, NY, and taught Judaic Studies at both the Hebrew Academy of the Five Towns and Rockaway High School (HAFTR) and The Frisch School in Paramus, NJ. She lives in Efrat with her husband, Eli and four children. Nili B'Simcha' s journey has included a BA in Religious Studies & Philosophy from University of California-Santa Barbara and University of Ghana, West Africa, and an MA in Community Leadership & Non Profit Management which she completed almost 10 years ago at Hebrew University when she first made Aliyah. Nili B'Simcha loves sharing sweet Torah-lehs with the most precious of precious sistas (that's you!). Her favorite flavors of Torah include highlighting the funky, fun and spiritual aspects of Judaism! Don't expect a source sheet, but do expect to go beyond your comfort zone and maybe meditate or learn a little bit of Kabbalah... or to just get real and be honest about self-growth as a Jewish woman. She also loves music, nature, and traveling to research lost tribes around the world. When she is not teaching in seminary, she works as a psychologist and loves that too! She looks forward to meeting you soon as she deeply believes that "nothing is random, and souls travel together." Mrs. Pesha Fischer has been teaching seminary students in Israel since her Aliyah . She also created and has been running an original and exciting after school science program for elementary age children in Modiin . 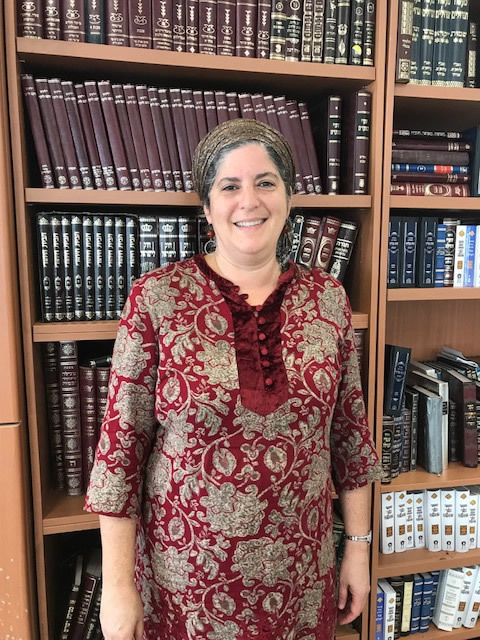 Prior to her Aliyah, Pesha worked as a Campus Torah Educator at the University of Maryland and was a teacher and Judaic Studies Coordinator at Yavneh Academy in Dallas. 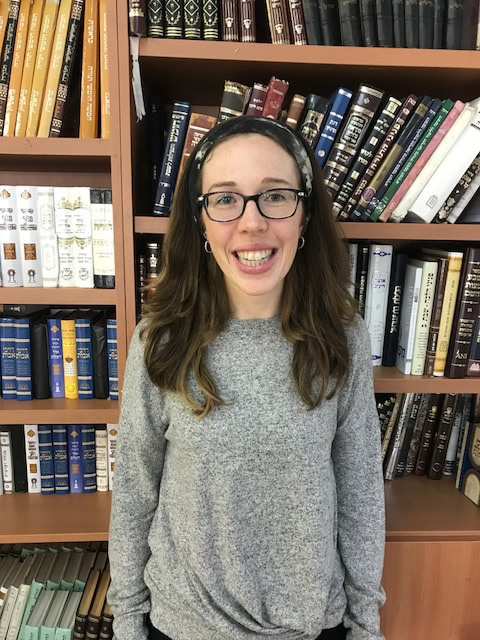 Pesha has studied in the Bruriah Scholar's Program at Midreshet Lindenbaum and at Matan and received a Master's Degree in Jewish Education from Yeshiva University. Pesha lives in Modiin with her husband and four children. Adina's experience with AMIT began as a Bat Sheirut at Beit Hayeled followed by her role as a madricha with the Midrasha. As Volunteer Coordinator, she oversees the entire Chesed experience to ensure that each student has an opportunity to volunteer both outside of our building once a week and on campus every day. Adina's combination of professionalism and warmth make her a beloved member of our staff who's also a close friend to all. Adina is also a successful E-commerce Manager at a start up company. Rebecca Klein was born in Teaneck, New Jersey. She went to Yeshivat Frisch for high school and then studied in Israel for a year and a half in Midreshet Moriah. 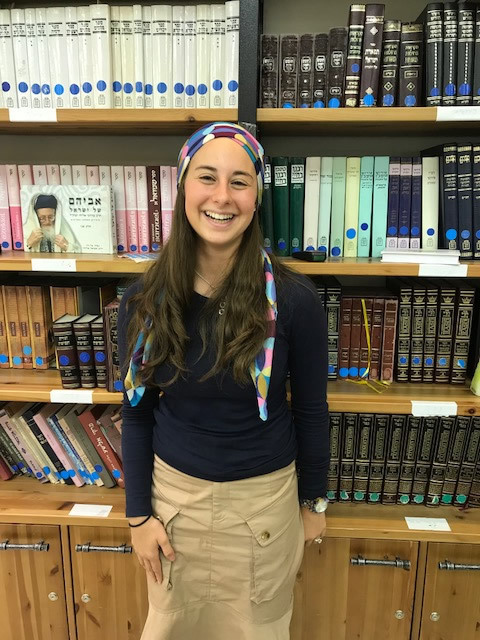 She started her studies in Stern College for Women majoring in nutrition and psychology and is continuing her studies in Touro College in Jerusalem. She was an advisor on NCSY and most recently a counselor on Morasha's Sulam Israel program. Her family is living in Israel this year in Raanana. She is extremely excited to learn with the girls this year! Dara has a BA degree in Judaic Studies from Stern College and an MS Degree in Education and Special Education from Hunter College. Prior to making Aliyah , Dara taught at Hillel Yeshiva High School in Deal New Jersey. Since making Aliyah, Dara has worked at various one year midrasha programs in Israel. She lives in Bet Shemesh with her husband Rabbi Jason Knapel and their 5 children. Matthew Lipman has been working in Israel education for more than 15 years. 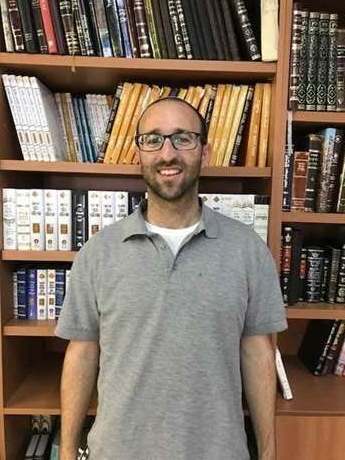 He has taught Judaic Studies at Charles E. Smith Jewish Day School in Rockville, MD, the Weber School in Atlanta, GA, and at what is now called the Jack M. Barrack Hebrew Academy in Philadelphia, PA. He has written high-tech educational materials for U.S. public schools, the IDF and an online Jewish day school. He has also worked in informal Jewish education for many years. Matthew has a B.A. in Politics and History from the University of Liverpool and holds a Master’s Degree in Jewish Education from the Hebrew University. He lives with his family in Modi'in. 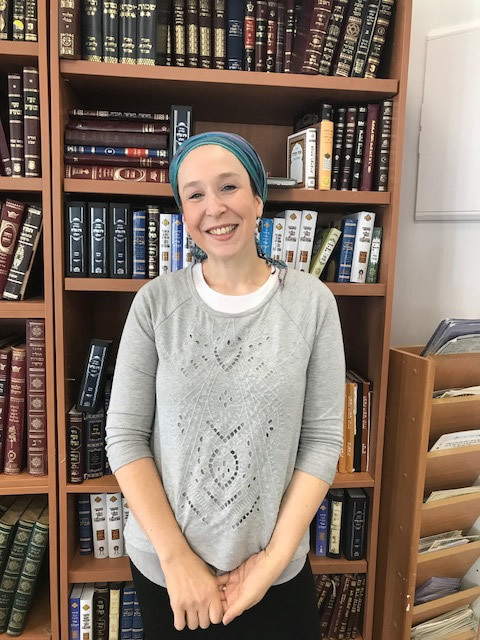 Adina was in the first graduating class of the Advanced Talmud and Halacha Scholars Program at Stella K. Abraham Beit Midrash for Women at Migdal Oz. Since graduating, she has taught various classes in Tanach and Halacha at numerous seminaries in Israel. Adina completed a B.A. in Special-Education and Tanach at Bar Ilan University. She is currently pursuing her M.Ed. in Tanach from The Yaakov Herzog Teachers' Institute. Adina lives in Alon Shvut with her husband and three children. A YU graduate, Norman Meskin has been a Jewish educator for over thirty years. He has given shiurim, divrei Torah, and Torah-oriented lectures in many different venues. In 2005, he edited and annotated a volume for the Coalition for the Advancement of Jewish Education (CAJE) entitled The Importance of Jewish Education and Jewish Educators, that uses classical Torah texts to advocate on behalf of Chinuch and its practitioners. After making Aliyah in 2006, Reb Norman served as Sho'eil u'Meishiv at Yeshiva Shvilei HaTorah. Naomi has been involved in formal and informal Jewish education since she attended Stern College, where she received a BA in Philosophy and Jewish Studies. While studying, she was very involved in NCSY. 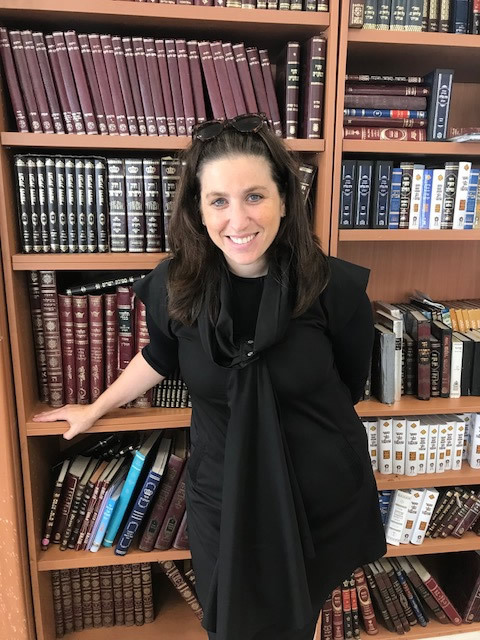 After completing her undergraduate degree, Naomi learned in YU’s Graduate Program for Advanced Talmudic Studies while simultaneously taking coursework at YU’s Azrieli school of Education. After spending a few more years working for NCSY, Naomi and her family moved to Dallas, TX as part of the YU Kollel. There, she was the director of the women’s division of the Kollel, teaching classes and running programs throughout the community. She also taught in Yavneh Academy, and eventually assumed the position of Assistant Principal and director of Israel Guidance. After 10 years in Dallas, Naomi’s family realized their dream of (finally!) making Aliyah. Naomi currently teaches in several seminaries. Naomi lives with her husband and four wonderful children in Ramat Beit Shemesh. Aliza is originally from Elizabeth, NJ, went to Bruriah, then Midreshet Moriah for shana aleph and bet, and then went on to study in Stern College. She made aliyah after Stern, and lives in Jerusalem with her husband and two sons. Prior to making aliyah, Aliza was very involved in informal education through NCSY and various summer programs. She holds a BA from Stern College in Tanach and Jewish Law. Aliza creates a warm and relatable classroom environment, encouraging students to think outside the box and open their hearts and minds. She teaches various topics including a class on the Jewish holidays and Tehillim. Geula Twersky teaches Tanach and art at Amit. She holds two masters degrees in Bible, from YU and from Bar Ilan. Geula has been teaching for well over two decades. Geula is also a professional artist, and a published author. Her new book on Shir Hashirim, Song of Riddles, is due to be released soon. You can view Geula's artwork at Geulaart.com. Geula specializes in the synthesis of the world of art with Torah. Rabbi Aharon Wexler made Aliyah after high school and studied in Yeshivat HaKotel. 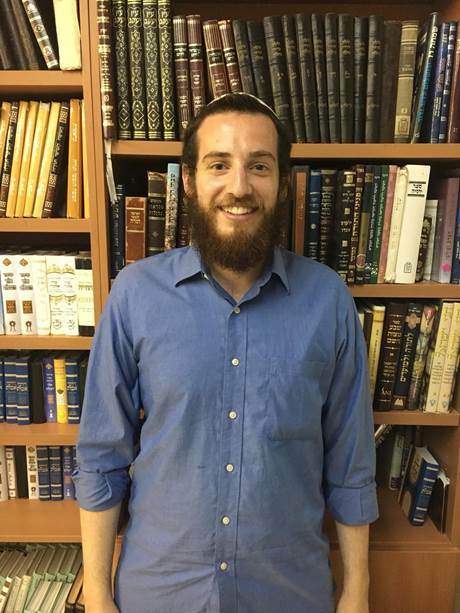 After Yeshiva and his service in the IDF, Aharon studied for his BA in Archeology and then went back to Yeshivat HaKotel for his Rabbinic Ordination. Rabbi Wexler went on to earn an MA in Jewish History and is now a Doctoral Candidate studying Jewish Philosophy. 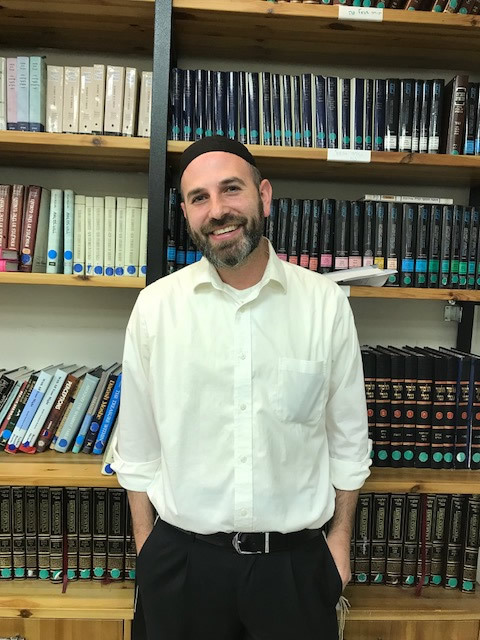 Aharon teaches in many post-high school Yeshiva programs and leads Birthright Israel tours and other educational touring programs during the summer. Rabbi Shalom Weisberg studied at Yeshivat Hakotel and Michlelet Lifshitz. He currently is a Rav at Orot Yehuda High School, Midreshet AMIT and MMY. Rav Weisberg is also trained as a marriage counselor. He lives with his wife and 5 kids in Neve Daniel. He enjoys adding music and more to our Shabbatonim at AMIT. Rabbi Jonathan Friedman, originally from Cedarhurst, New York has been in Israel since his Shana aleph learning in different yeshivot. Rabbi Friedman recently completed his Rabbinic Ordination through Rav Zalman Nechemia Goldberg and Rav Bina. He graduated with a BA in liberal arts and recently received his masters in Jewish Education through Azrieli Graduate School. Rav Jonny teaches in various post high school yeshivot and seminaries and has taught chinuch in different camps during the summers. Rav Eytan Goldstein received semicha from Rav Zalman Nechmia Goldberg. After spending his childhood in Long Beach NY, he moved to Eretz Yisroel and since then has been learning and teaching in various Yeshivot. Rav Eytan is currently living in Yerushalyim with his wife Shira . Rabbi Aaron Rosenberg, originally from London, England, has been involved in hadracha for the last 11 years, through Bnei Akiva UK, Tribe UK and as a Youth Director. He made aliyah soon after receiving his BSc in Psychology and spent the following years completing his Rabbinic Ordination through Rav Zalman Nechemia Goldberg and Rav Bina. Rabbi Aaron served in the Israeli Army as a Commander in the Shnat Mesimah Program of Netzach Yehuda. By day, he works for Jerusalem U as part of their film production team.